← Leader of the Year: Alan Garcia ??? Micro enterprises are everywhere here in Cusco. On every busy street corner you find vendors selling snacks, ice cream, magazines, etc. The vendors typically use some type of converted bicycle as a vending stand, such as the one in this picture. 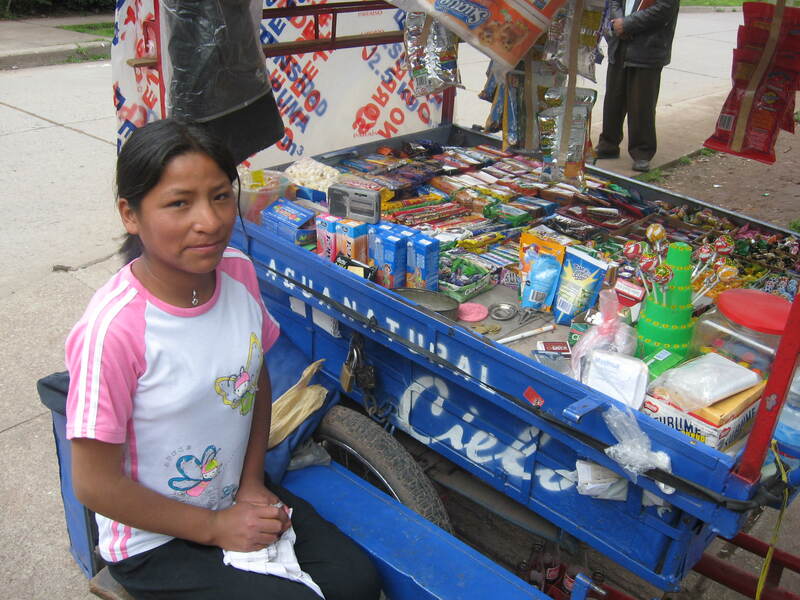 The girl in the picture is 13, she helps her mother about half a day, 6 days a week, taking care of her vending stand. I usually stop by to say hello and buy a piece of candy during my morning walk with Roxi and Manchita. This entry was tagged Cusco, Life in Peru, micro empresa, micro enterprise, Peru. Bookmark the permalink.